Right from the get-go, man had community. Once upon a time there was a man named Adam and… well, the animals. That’s a community, right? So you see, as Adam opened his eyes, and took that first deep, cleansing breath, he was likely greeted by the wet laps of a dog licking his face. And once his laughter subsided, his ears probably detected some mooing and quacking in the background. Earlier in Genesis we see that God had already created an amazing garden in the east, in Eden, and there he put the man he created. But Adam didn’t have people. Contrary to many animal-lovers’ claim, man needs more than a dog for his best friend. He needs people. And God created the woman to walk along side the man. The perfect place with the person made just for him. Sounds like everything is going to work out just fine, doesn’t it? But most of us know the rest of the story, and we are aware that the Garden of Eden as home to the first couple didn’t last long. 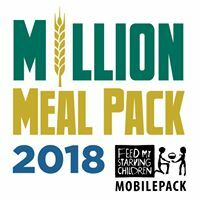 The Bible doesn’t tell us how long it took, but before their first child was born, Adam and Eve were homeless, and working from dawn until dusk, scratching out a living. The entrance to their former utopia was blocked off by a cherubim, no less, and fire. Do you think they walked by in the evening, trying to get a peek inside? Did they linger at the gate, watching that flame go back and forth, wishing with all their might they could turn back time and step into their garden once again? The place made just for them. The Bible doesn’t always give us insight to the feelings of its characters, but Adam and Eve probably lived out the rest of their days, longing for a place to belong. I don’t think they found it. Join me tomorrow as we explore why they never found perfect peace in the perfect place ever again. 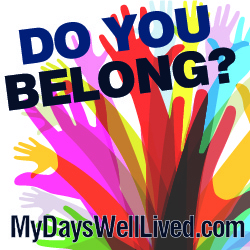 If you missed my intro post, you can read it here: Do You Belong?